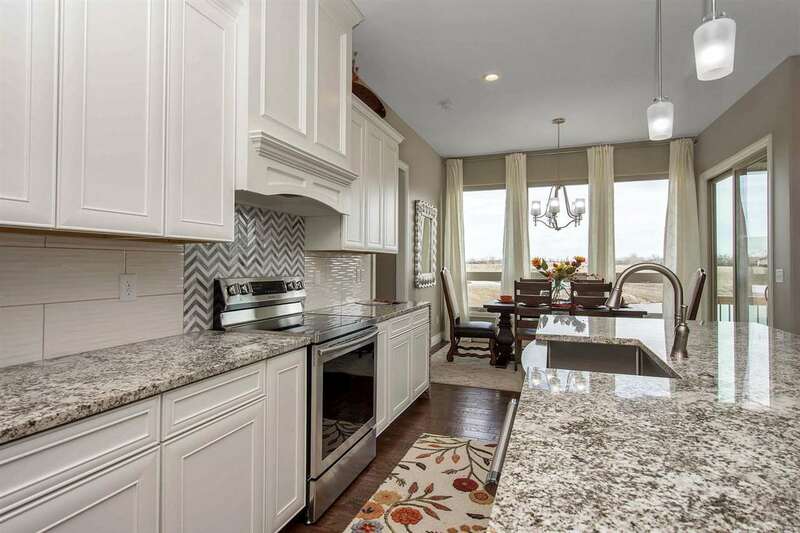 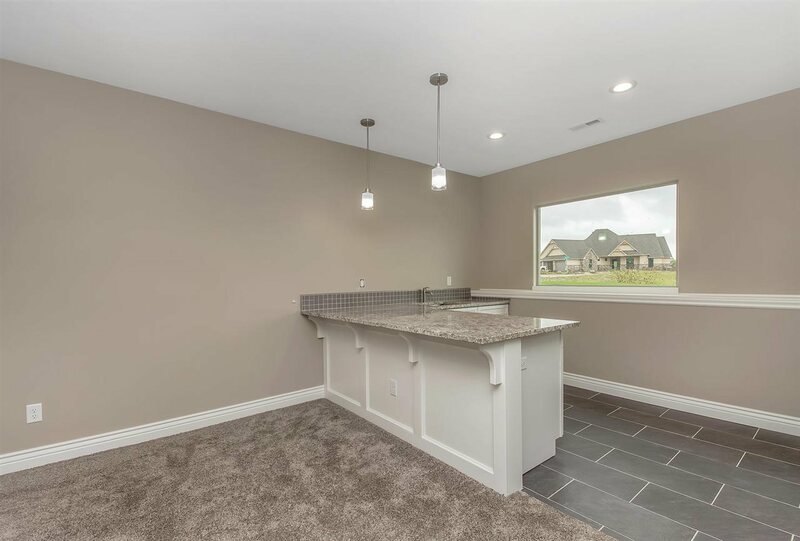 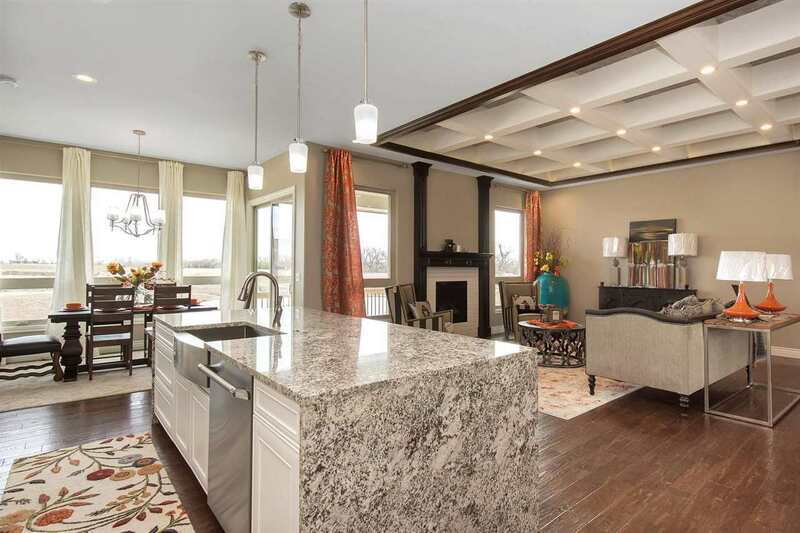 Tucked away on a cul de sac in northeast Wichita, this brand new 5 bedroom, 4 1/2 bath estate is your dream home. 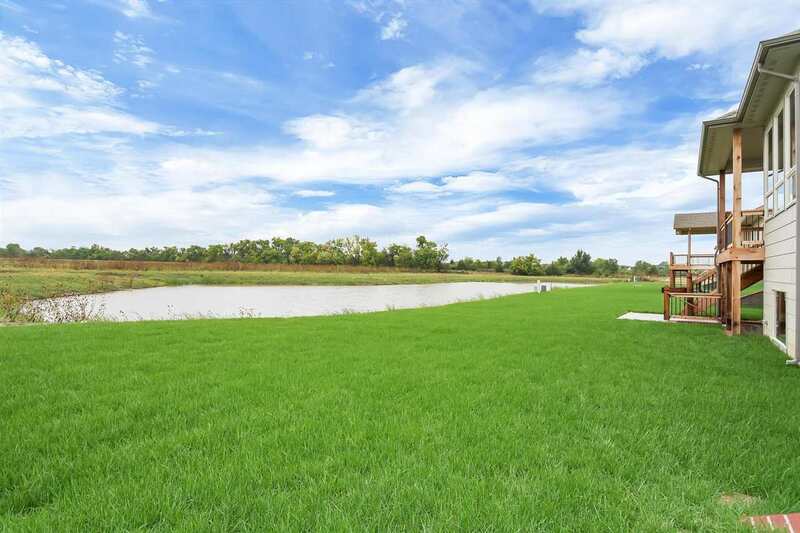 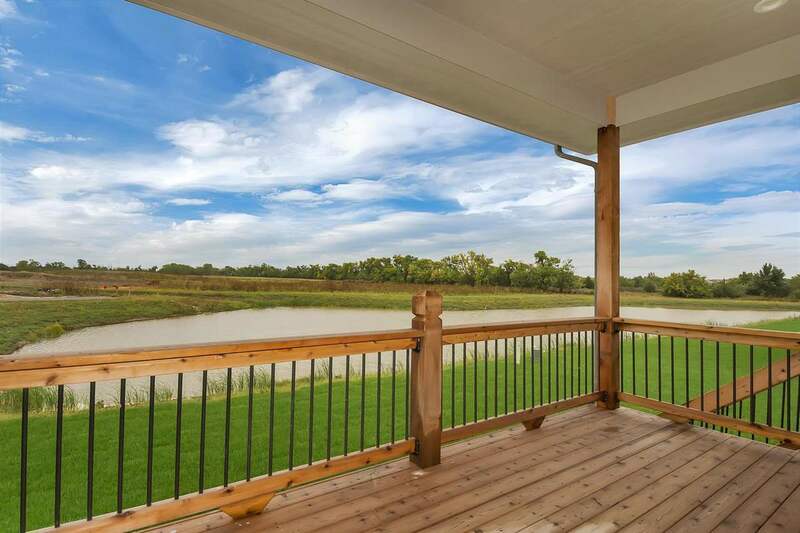 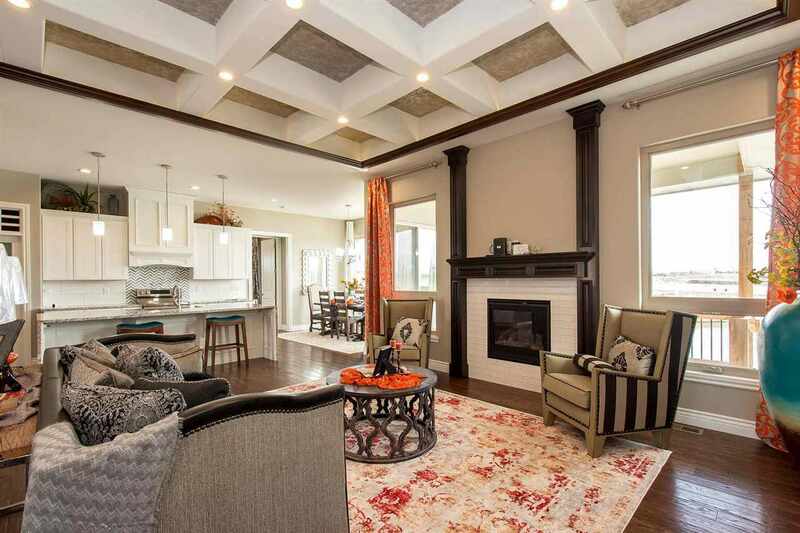 Featuring high-end upgrades, NO SPECIALS, gorgeous pond views, and nearly 4,000 sq. 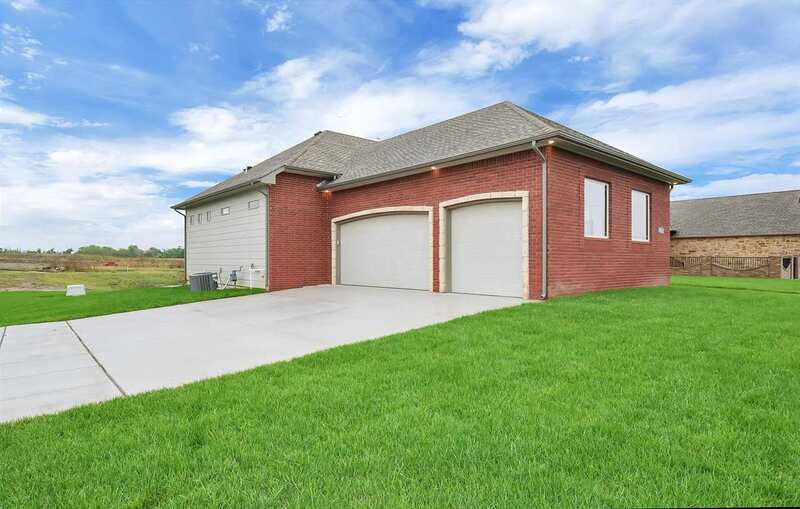 ft. of space within, it's fully loaded and ready for its first owner to call it "home." 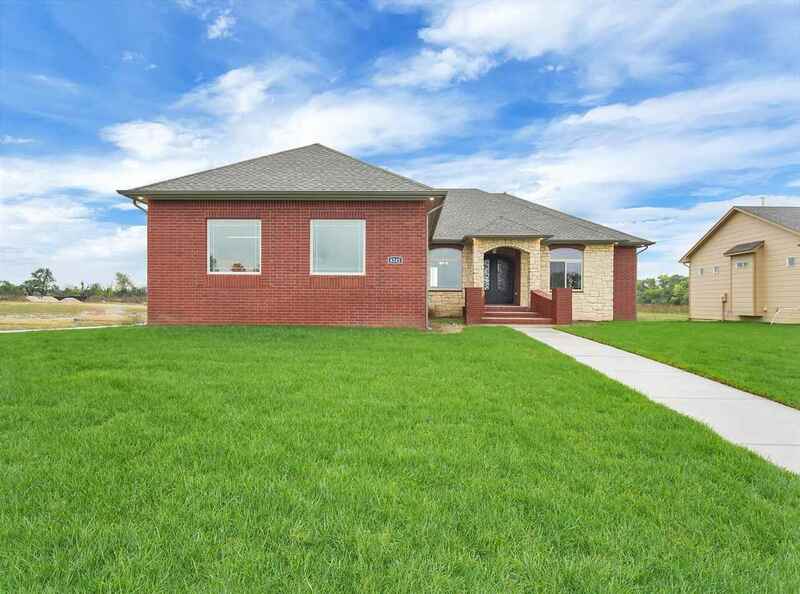 As you pull in you'll notice the 3 car side garage and the stately brick and stone facade in the front of the home. 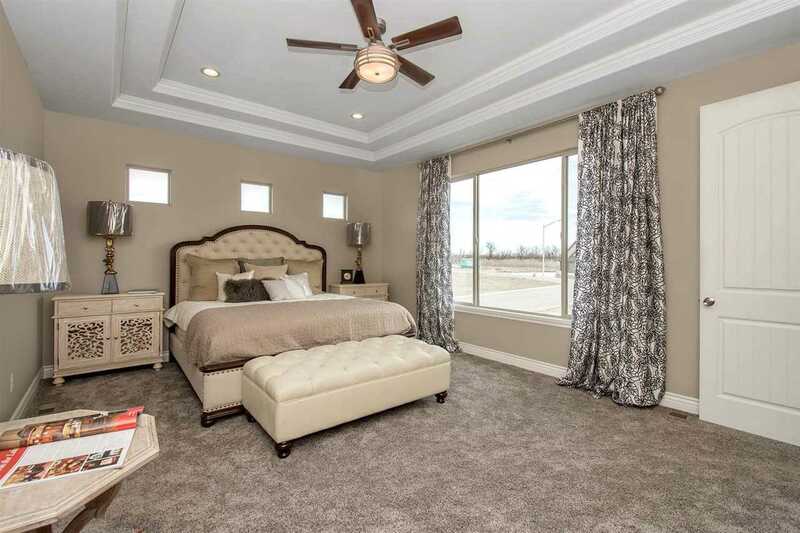 Head inside and be blown away by the masterful design and luxury touches. 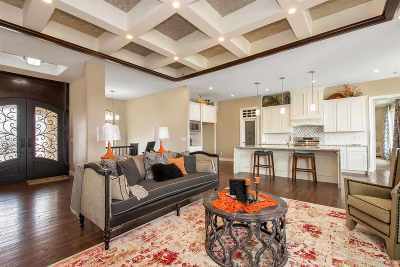 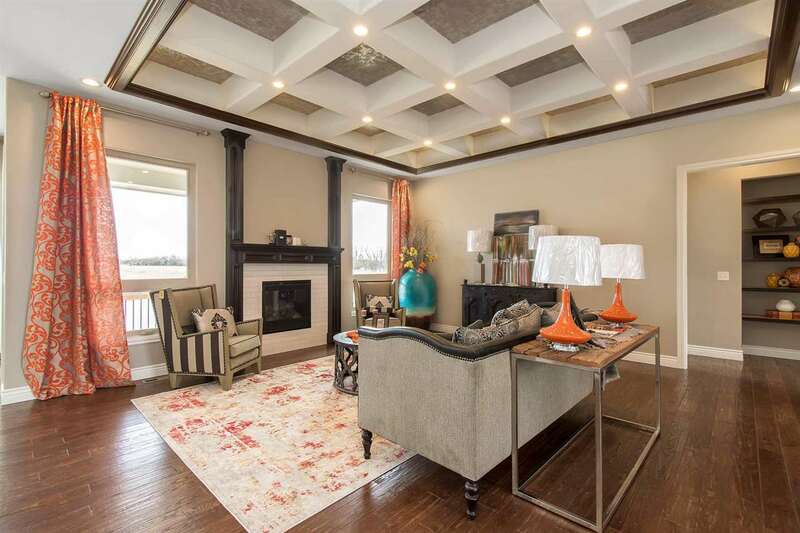 The living room is under a coffered ceiling and has a fireplace that makes a beautiful backdrop for holiday gatherings. 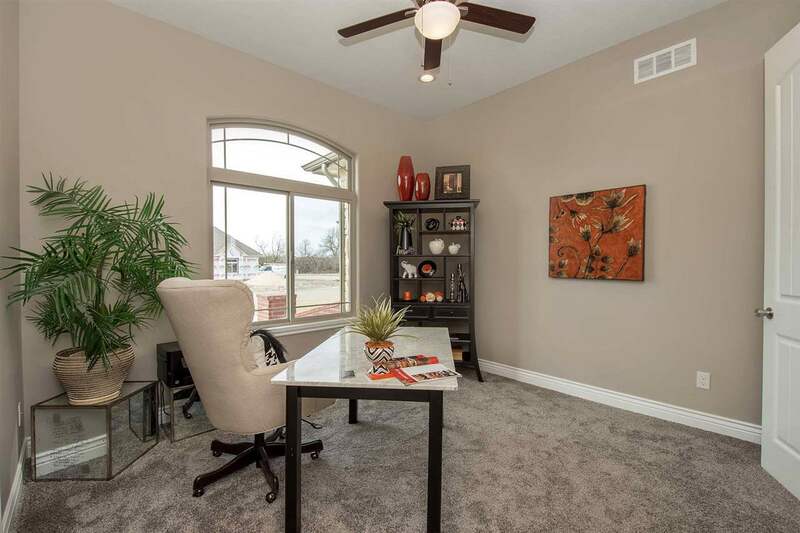 Huge picture windows throughout the home envelope each room in bright, natural light. The living room is open to the kitchen which gives you the perfect layout for entertaining. 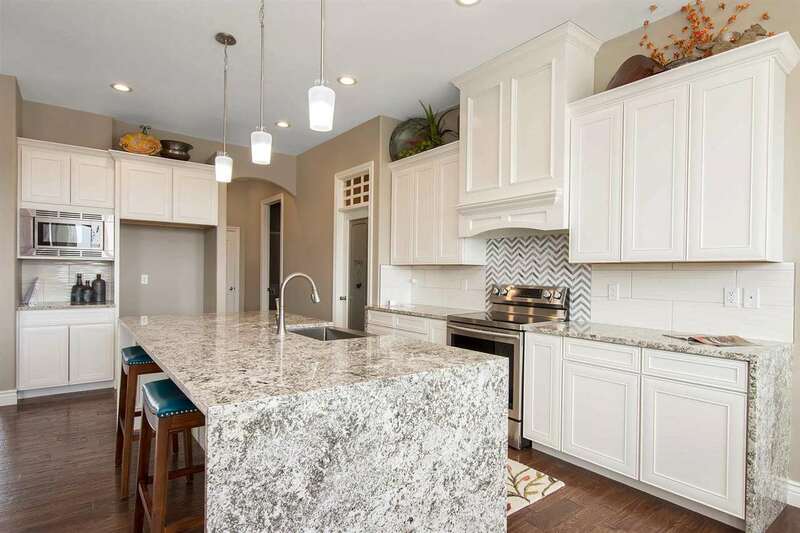 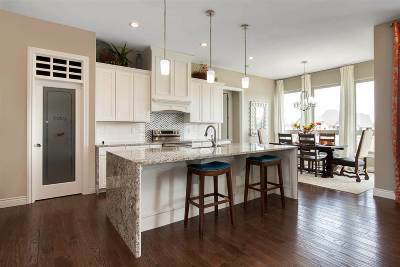 The kitchen is any home chef's dream, with granite counters, an eating bar island, and a big walk-in pantry. 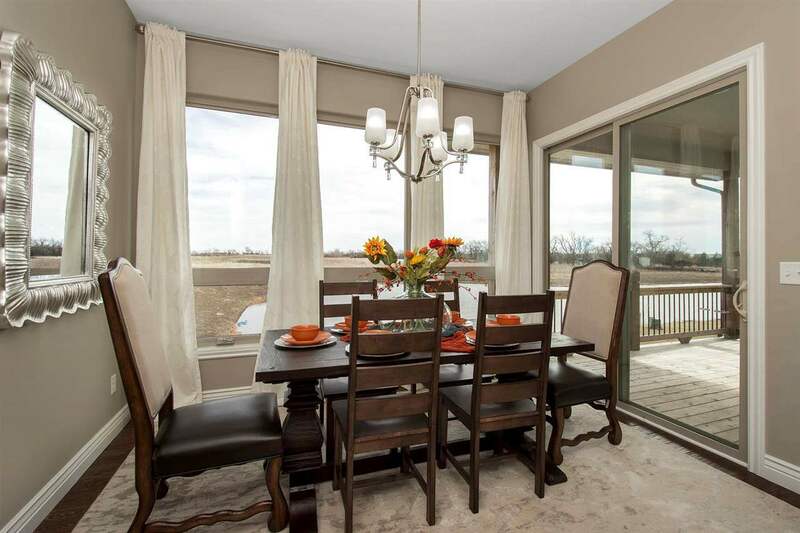 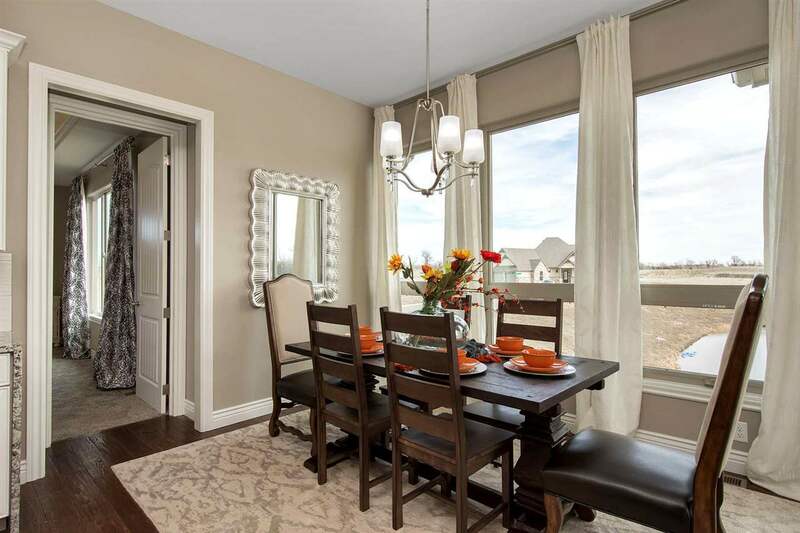 The attached dining area is seated in front of enormous windows that offer lovely views of the pond outside. 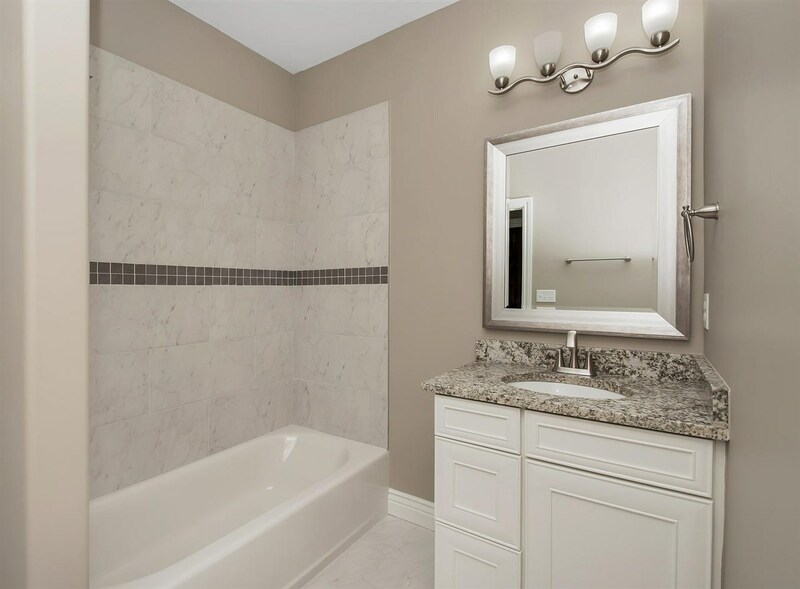 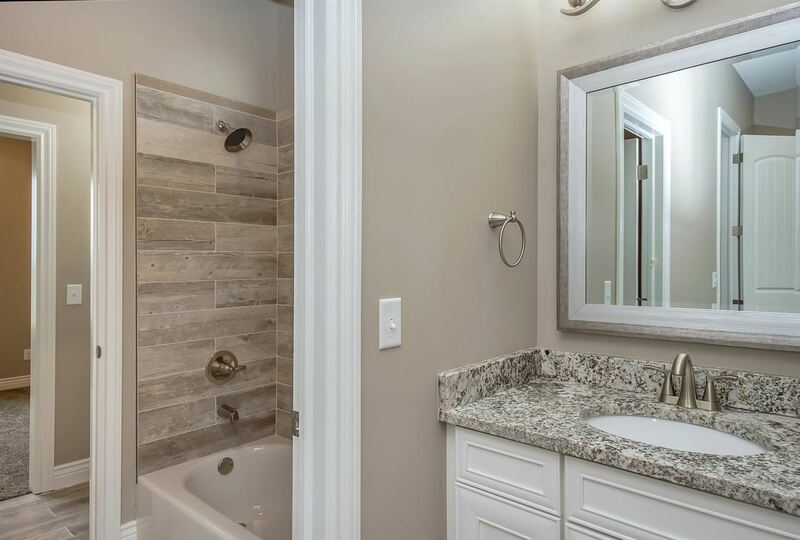 Your master bedroom has a tray ceiling and a spa-like en suite bath with granite counters, a huge tub, and a separate shower. 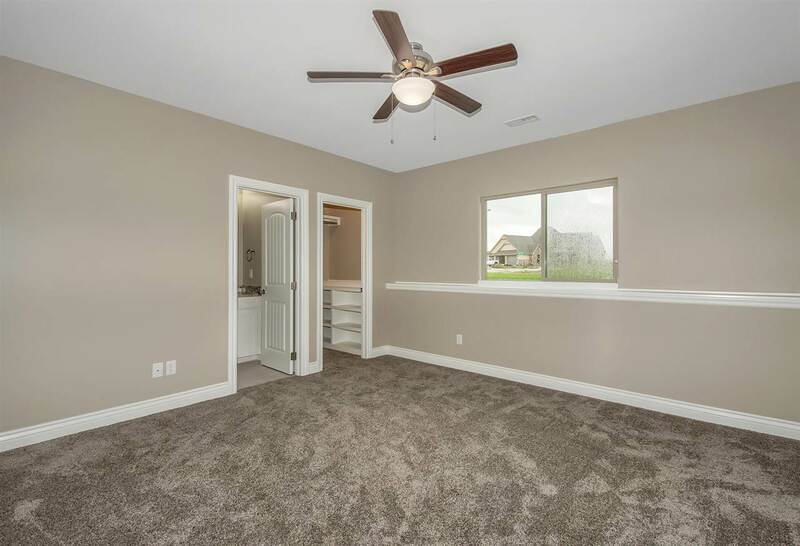 It's like a personal retreat! 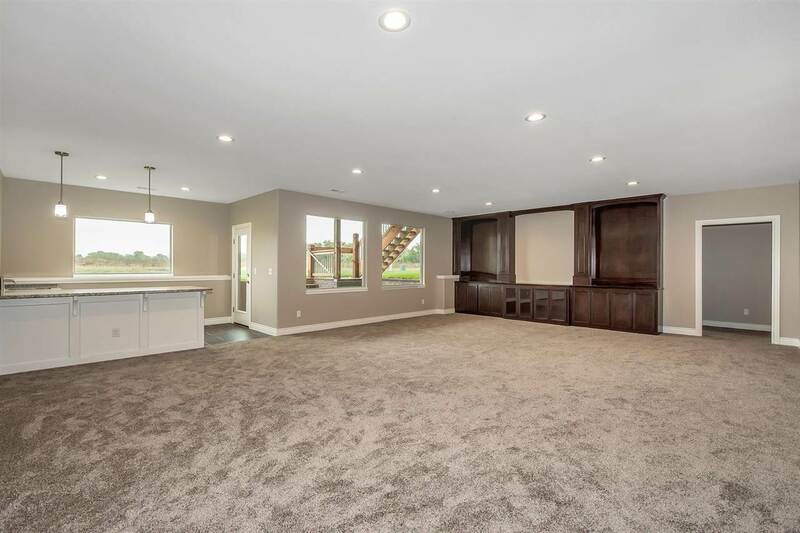 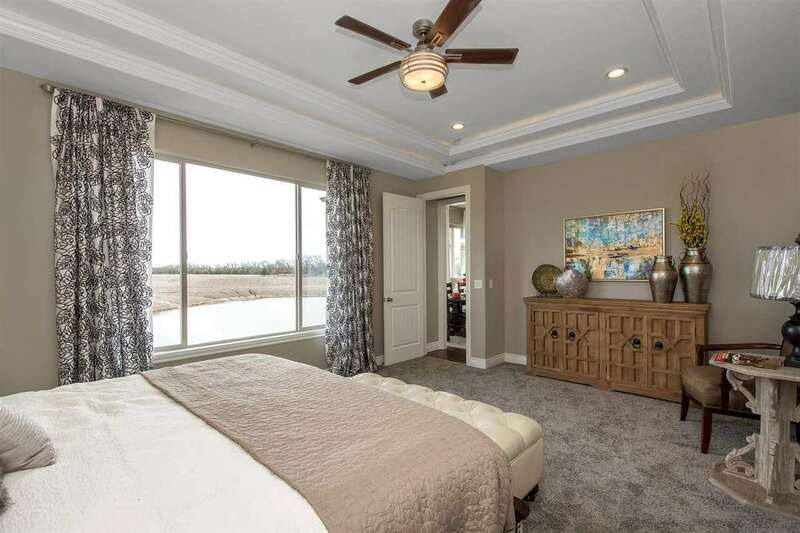 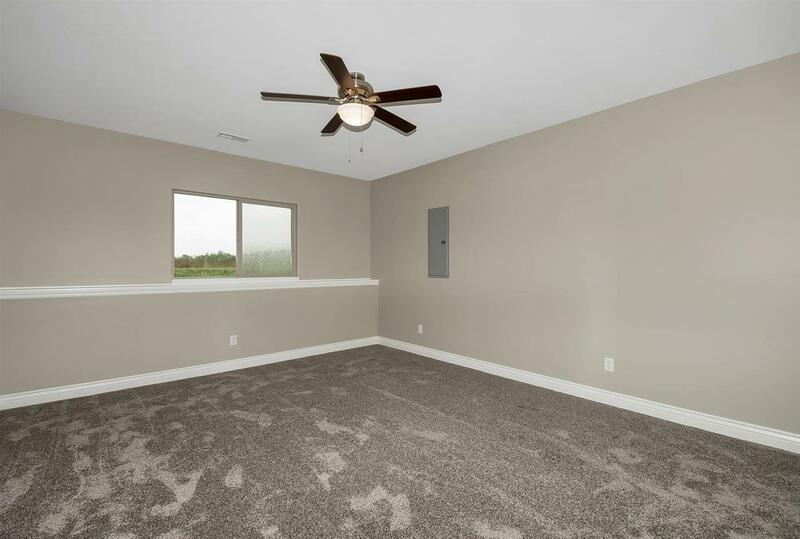 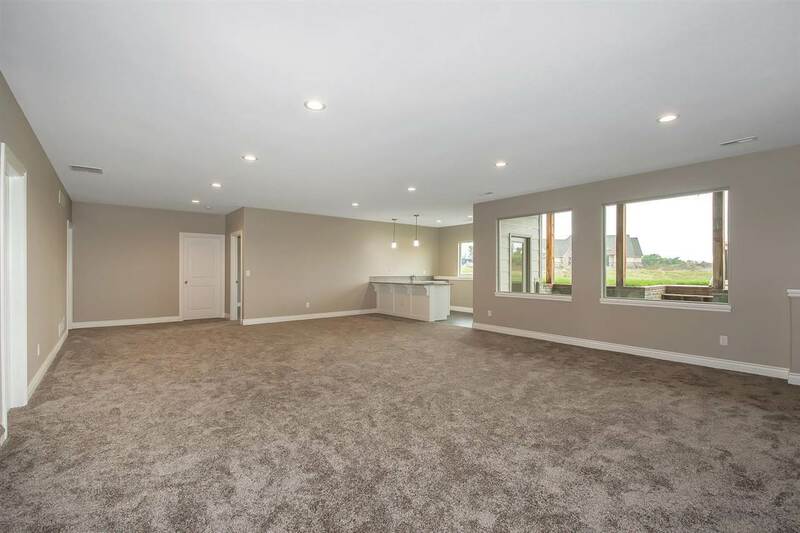 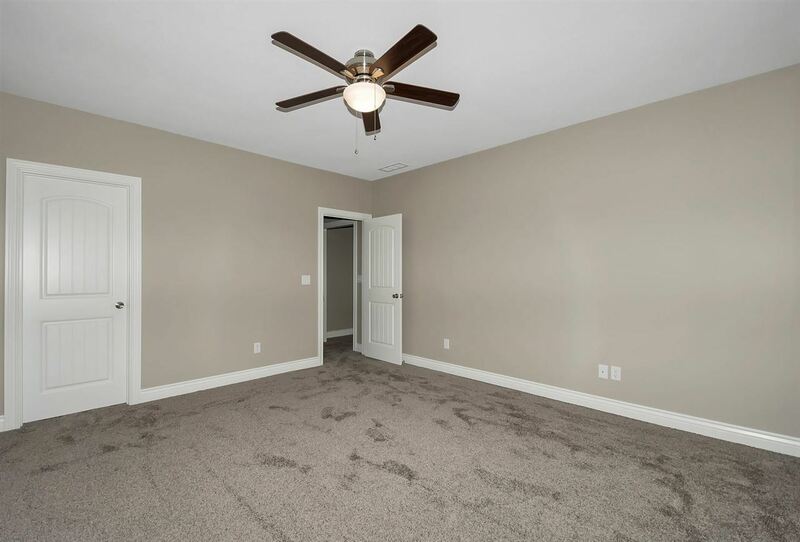 Two more big bedrooms, a full bath, and a half bath complete this spacious main floor. 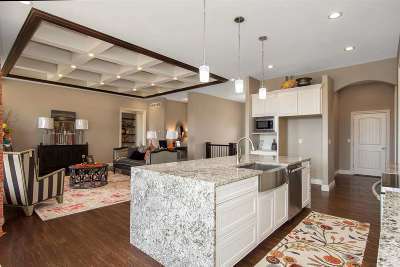 Head downstairs to find a large family/recreation room under 9 ft. ceilings. 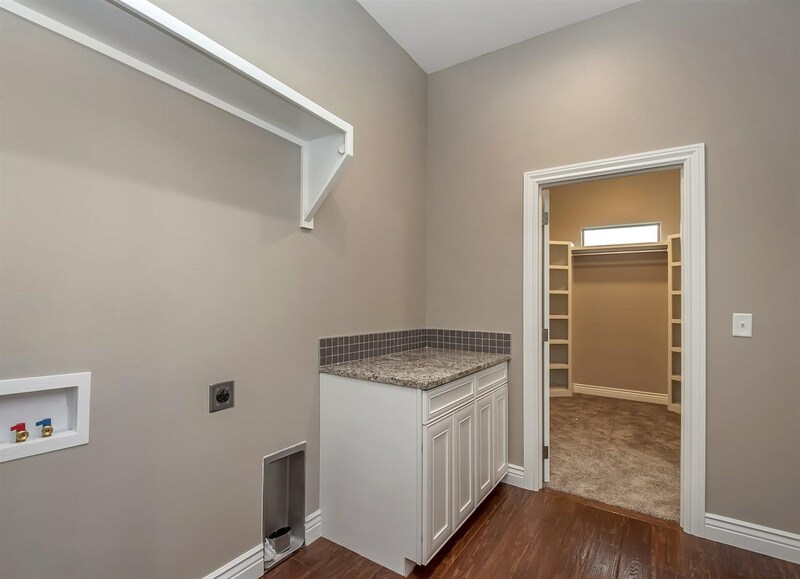 There's walk-out access to the back yard, plus built-in shelves and a wet bar. 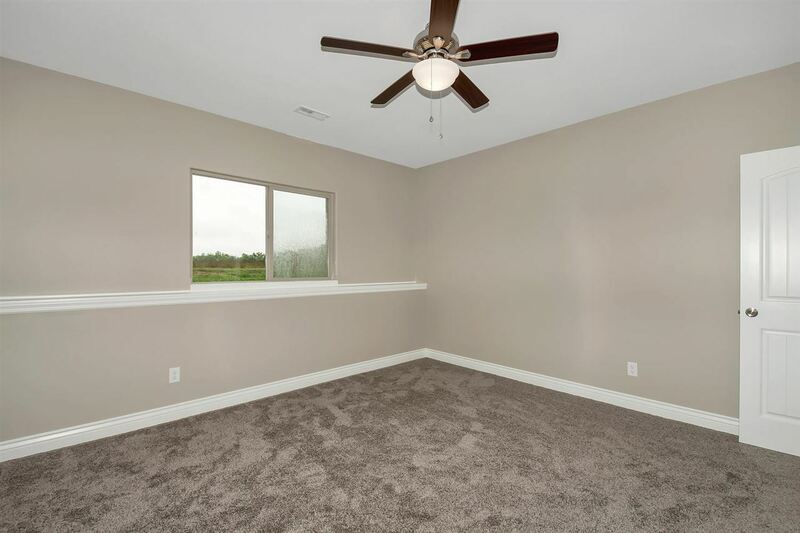 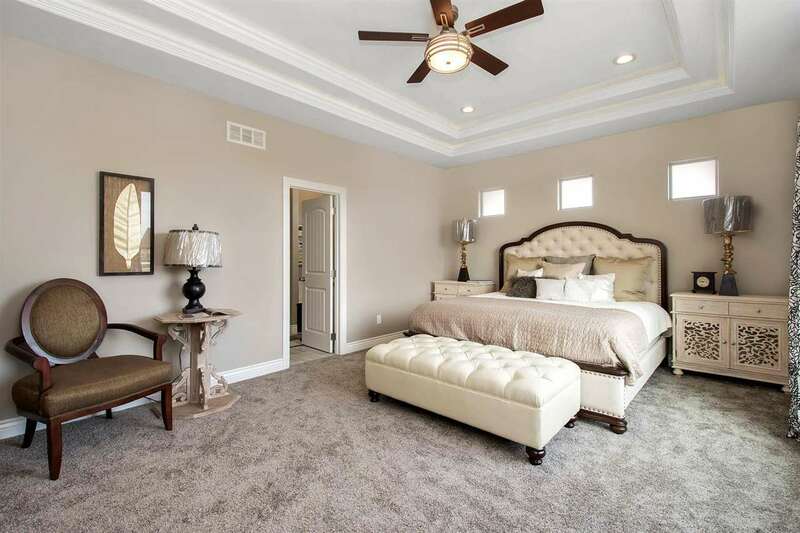 Two additional bedrooms and bathrooms finish this home's layout and give you so much space to spread out. 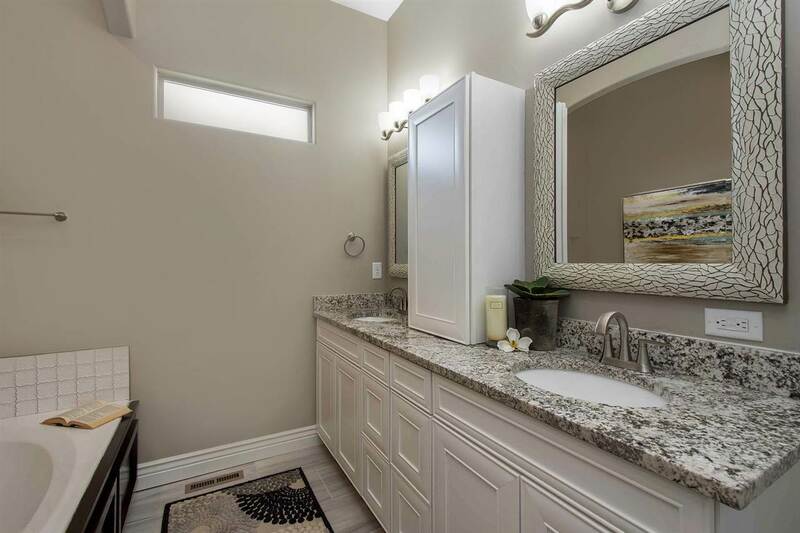 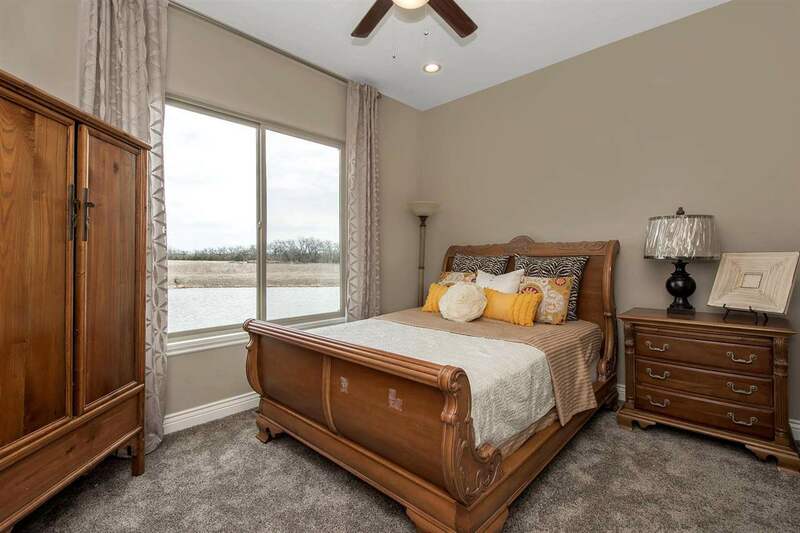 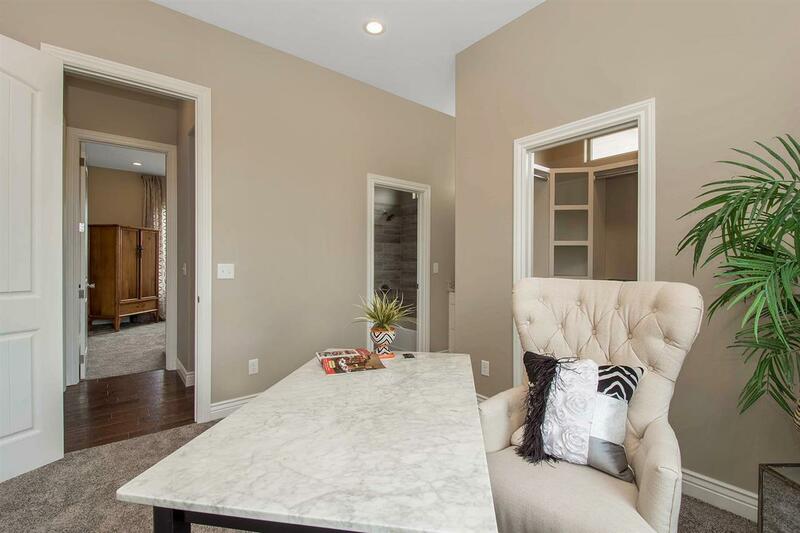 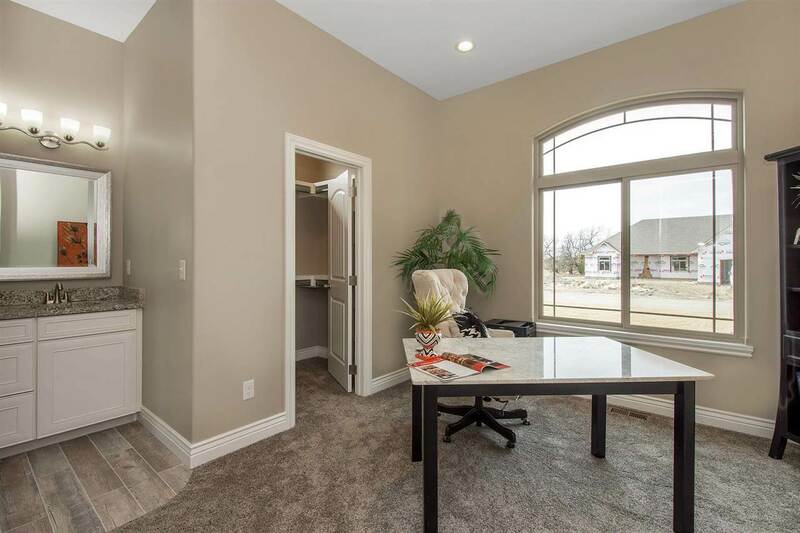 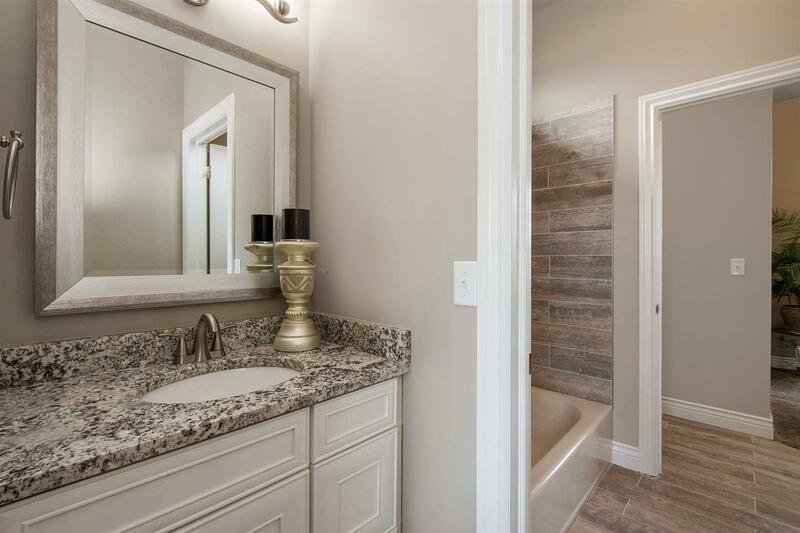 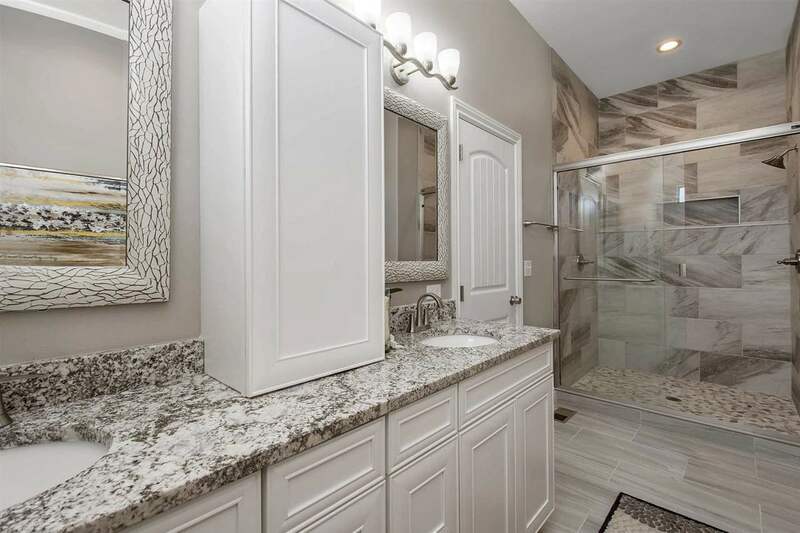 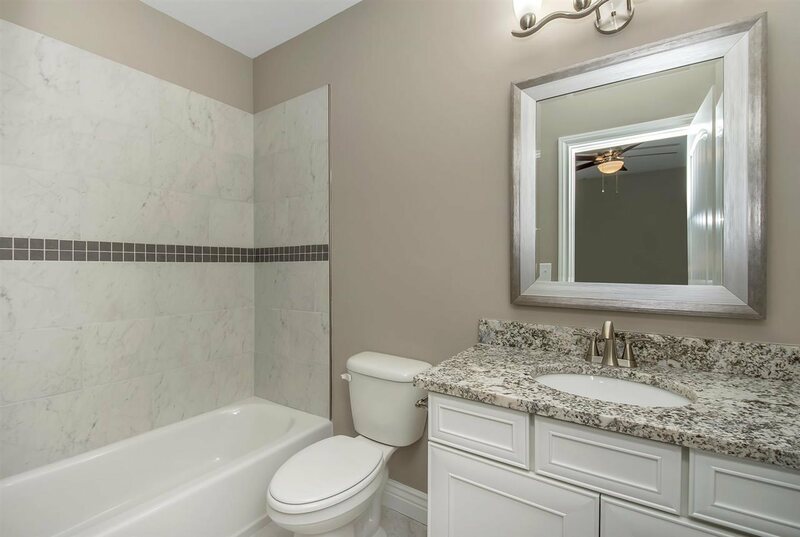 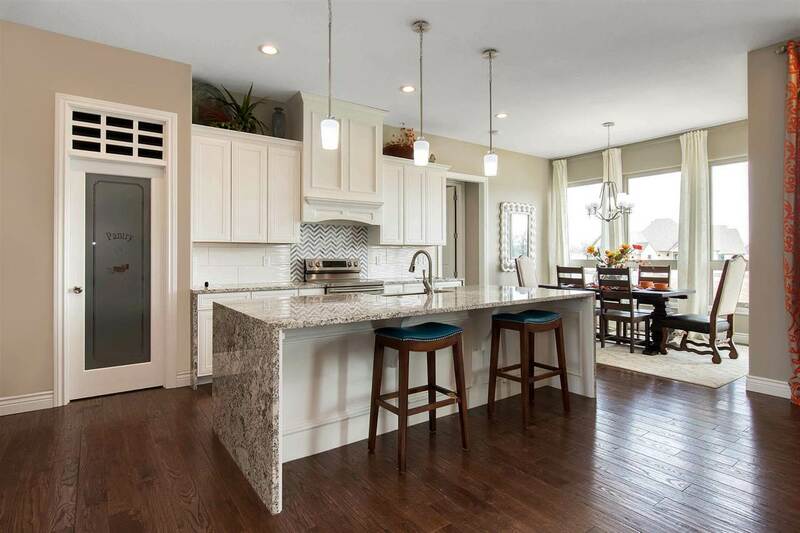 Located close to the beautifully maintained Willowbend Golf Club, several parks, and plenty of shopping and dining options, you have found an incredible home in an absolutely stunning new development. 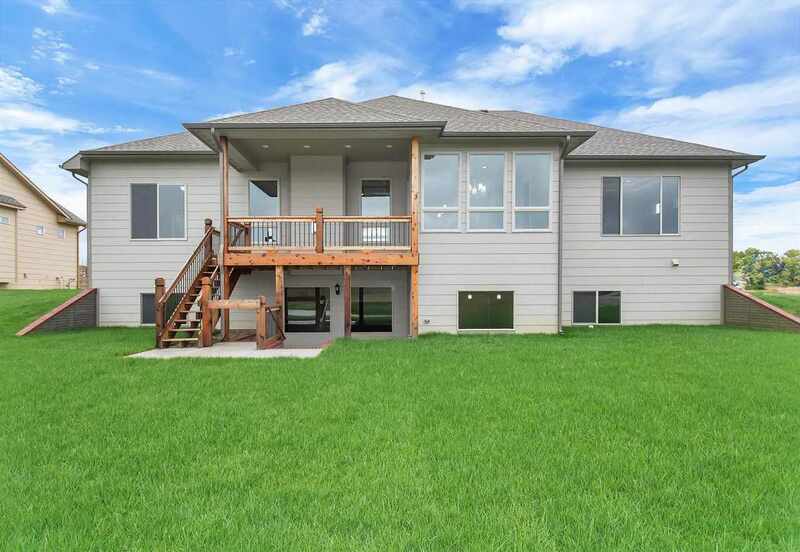 Schedule your private showing today and come see this one before it's gone forever!